Considered you suggestion and here is the new design. Now with a pick instead of the previous weapon. Project's kobold unit looks quite similar. As I've said XEL, I think you'll be pleasantly surprised. Had a quick look at sprites from MM and H3. They indeed are tricky to use directly. Some however, may be possible. For instance Mighty gorgon seemed to survive pretty well paletting and reduction to 80% size. And an attempt to animate an existing H2 battlefield obstacle. It has missing frames and some existing ones need more work. I really like the tree! Very good idea in my opinion. May I know what program you used to make such a sprite? Kivoss wrote: May I know what program you used to make such a sprite? For new frames/pixel editing used GIMP. It is freeware and more powerful than MS paint. Thank You Okay here is the upgraded version of the Kobold, not sure about the armour though... what do you think? Any news on the project, guys? Salamandre wrote: Or create new story, the original is botched and very few care about. Custom campaigns and maps always had much better stories, both in H2 and H3. The original story is just fine. Especially good if viewed on a larger scale, i.e. 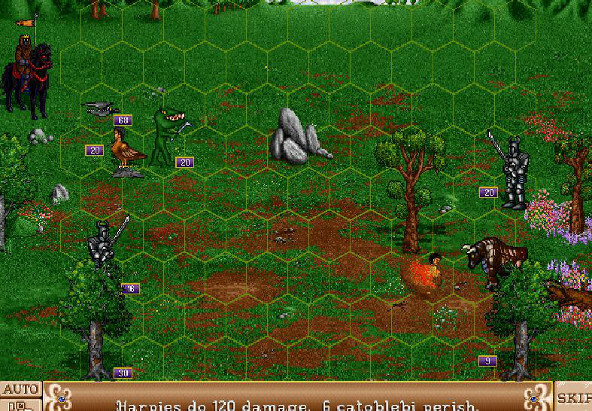 together with core Might and Magic games. And, I can assure you, quite a few people care about the story in the original games and like it. All in all, IMO there's no need to create entirely new story and setting, while Ironfist dynasty is referenced right in the project's title. Last edited by XEL II on Jan 11 2013, 8:01, edited 2 times in total. There were definitely some growing pains involved in going from 4 to 10 people in a bit over a week; it took a bit too long for the Game Creation Society to get our repository up. Most of the members have been chipping in a bit each week, which is the expected commitment. Just so no-one lynches me in a couple months, I'd like to say it now: We will very likely not be finishing the Warlord by the end of July. This comes purely from observing the pace of art, which is relatively predictable compared to design and programming. Then again, the pace will definitely quicken, and we just received inquiries from a new artist. I'm overall fairly pleased with some of the recent developments. Only the top third is done, by so far the background for the Warlord town screen looks really good! I've also discovered that an older version of the executable comes with debug symbols. Since a Google employee on the team also managed to obtain a free license for the powerful BinDiff utility, this will greatly speed the remainder of the reverse-engineering, meaning things such as improving the AI and network play (formerly very low priorities in reverse-engineering) will be much easier. At least if anyone can figure out how to read debug symbols in the CodeView 4.10 format. Though, what I'm in some ways most proud of right now is that our lead writer, a professional writer with no previous HoMM exposure, has become addicted to the original game. If your writer could use any consulting on the Might and Magic lore (just to make sure that everything adds up), I'd be glad to help. Pitsu wrote: Do you plan to reuse graphics from other (Ho)MM games or make them from scratch? If we did that, they would stick out like a sore thumb. 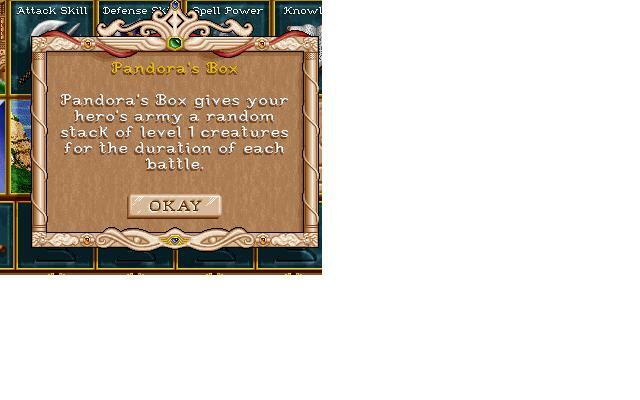 We spent a lot of hours last month making it possible to add new creatures without touching any code. That doesn't produce any flashy screenshots. 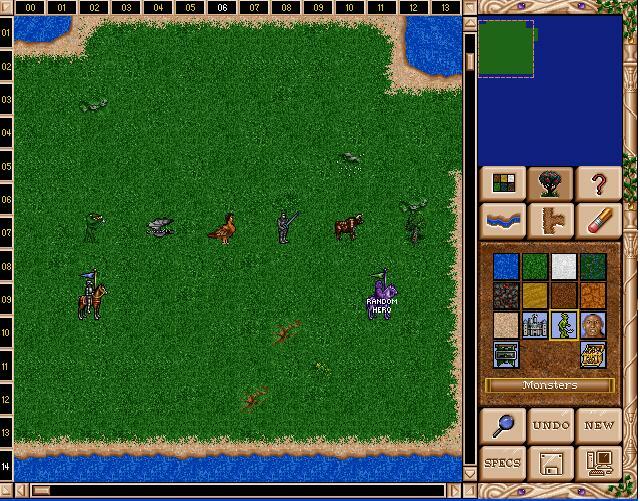 But that let a team member have fun adding five new creatures over a couple days, which does. Introducing the harpy, bloodsucker, black knight, treant, and catobleba. Making it easy to work on the game is a high priority. We created the strike-and-return ability for the harpy, but we made it so that anyone with a text editor can add this ability to any creature in under a minute. We are now also capable of adding new artifacts. Our first addition has a fairly interesting ability. We have also heavily reverse-engineered the map editor, and can now mod it as well. And finally, have a look at the beginnings of the Warlord town screen. Gaaah! L33t peasants! My eyes! Severely hoping this project isn't dead. Because I have high hopes you guys might be able to fix the sound stuttering issues that have been plaguing this game on modern systems. Might I suggest you add support for flac files so we can rip the game's soundtrack and make our own? I'd be interested in making a selection of castle themes from both TSW and POL since I like specific tracks from both. Additionally, it would be great if we could also recover all the lost or misnamed MIDI tracks. 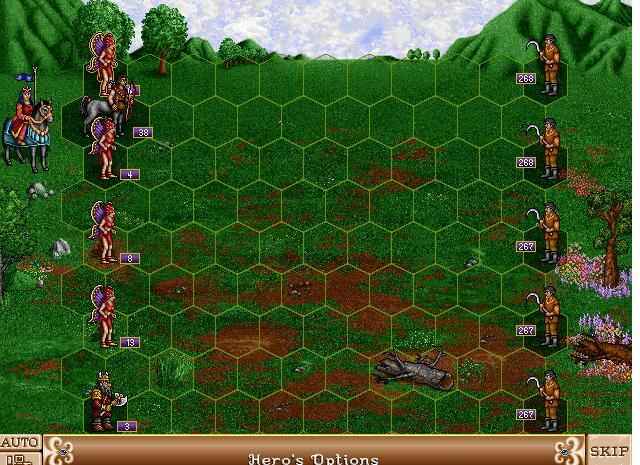 Your mod could be the catalyst to a greater Heroes of Might and Magic 2 experience. I've been caught up in work for the past month, but we've been preparing for a fairly major announcement. Stay tuned. Darmani wrote: I've been caught up in work for the past month, but we've been preparing for a fairly major announcement. Stay tuned. Now three years in the making, we are pleased to announce the first public release of Project Ironfist. With new creatures, artifacts, and more, this release is a demonstration of what's possible with Ironfist's modding capabilities. Watch our demo video, or go to www.ironfi.st to learn more and download the game. Ironfist supports adding new creatures, artifacts, spells, and more. Ironfist's scripting lets you create new maps of unlimited depth and variety. And now we're giving these abilities to you. Our tools, our knowledge, and our support are all also available at http://www.ironfi.st Over twenty people so far have helped to bring you this game. We hope that, whether by making maps, or by playing the game and sharing your ideas, you'll be one of the next several hundred. I shall be trying this out soon. When I try to open the Ironfist.exe file, it opens to the startup screen and immediately crashes. Is there a specific compatability?